Hello fellow lifters, my name is Rob King and I am the owner of a Canadian (Newfoundland) gym called Heavyweights Training Center (HWTC). Bret’s note: I made an exception for Rob and had a unit shipped to him in Canada, we normally only ship to the US and Europe. At HWTC, we have coached everyone from pro fitness models, to National level competitive powerllifters, to Olympic weightlifters, to pro volleyball players, to clients who have completely transformed their physiques, to everyday people who simply want to feel and move better. In other words, we coach every type of person you can imagine. At the risk of sounding cocky, we are well known for the amazing results our clients achieve. But perhaps our best specialty is transforming glutes. 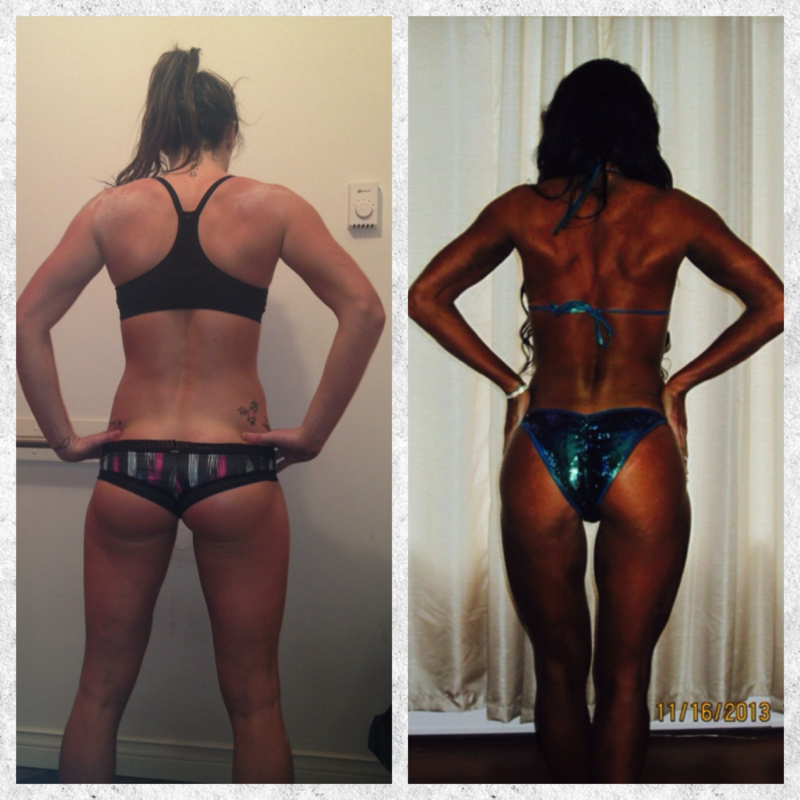 We venture to guess that we’re the best booty building gym north of the border! A few years ago, I started reading everything I could get my hands on from Bret. In fact, I purchased his Glute eBook, emailed him a few questions, and kept up my education on glute training. The way I see it, if you want to be the best, you have to learn from the best. As I previously mentioned, at HWTC, we have a BIG focus on training the glutes and the posterior chain. Of course we love our squats, our deadlifts, our single leg exercises, our posterior chain assistance lifts, and our lateral and rotational band exercises. These are staples of any great glute training regimen. However, our single best tool is the hip thrust. We love our barbell hip thrusts, band hip thrusts, single leg hip thrusts, and more. All of this came from Bret and his videos and blogs. 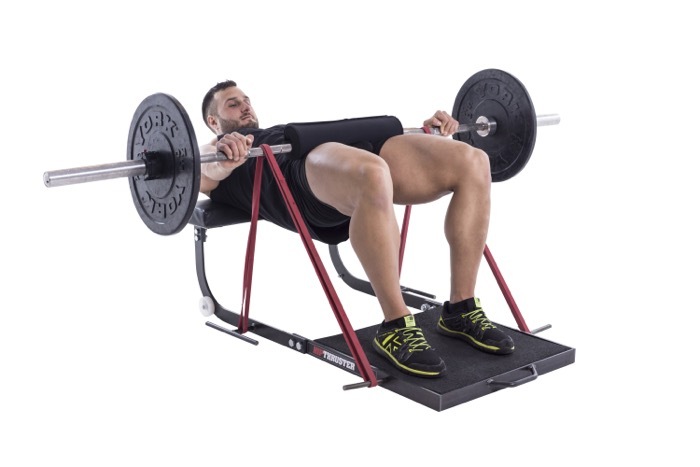 When I saw the Hip Thruster, I knew it would be a game changer for us, so I ordered it ASAP. I believe that it has made a huge difference in the results of our clients, and the glutes transformations that we create. As you can see, we build some pretty good glutes and posterior chains at HWTC! Not only do we use the Hip Thruster and it’s variations for our bikini and fitness models, it’s also a mainstay for the athletes that we coach in Powerlifting and Weightlifting, in addition to those returning from back injuries and pretty much every single person that comes through the doors of HWTC. There are certain exercises that I feel should be performed every day, and the Hip Thruster is definitely on that list. I’ve found that band hip thrusts in particular hammer the glutes but don’t take a toll on recovery or tax the CNS. The clients love them. I hope you enjoyed these Hip Thruster variations. Now get to the gym and start thrusting! Rob King is an entrepreneur, fitness writer, fitness presenter, strength coach, and body transformation expert. He is also a competitive powerlifter and martial arts black belt, and has been featured in publications such as T-Nation, Muscle-Insider, Inside Fitness, EliteFTS and more. He is the creator of the Rippedin42 and Builtin42 Transformation Programs. You can access his website HERE and his Facebook HERE. The post Top Ten Hip Thrust Variations appeared first on Bret Contreras.